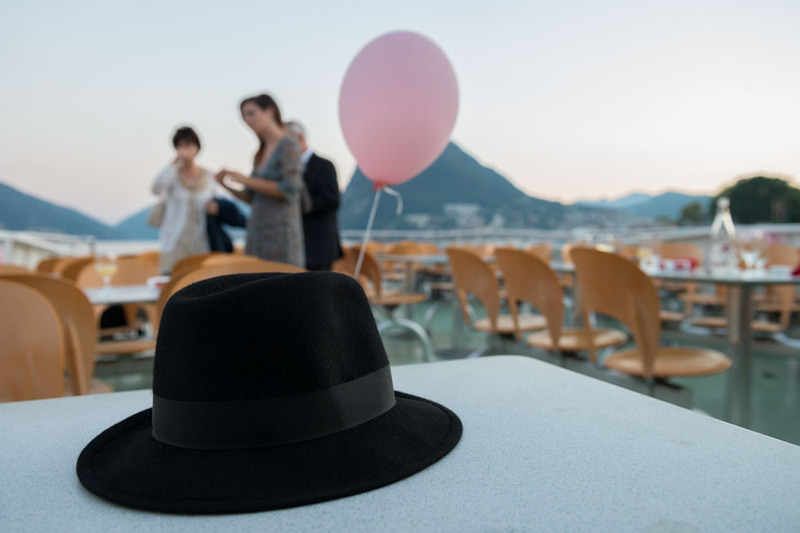 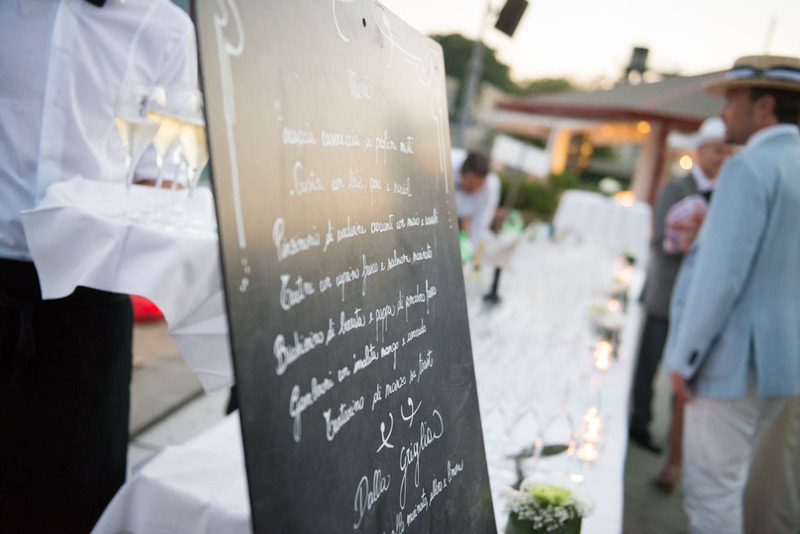 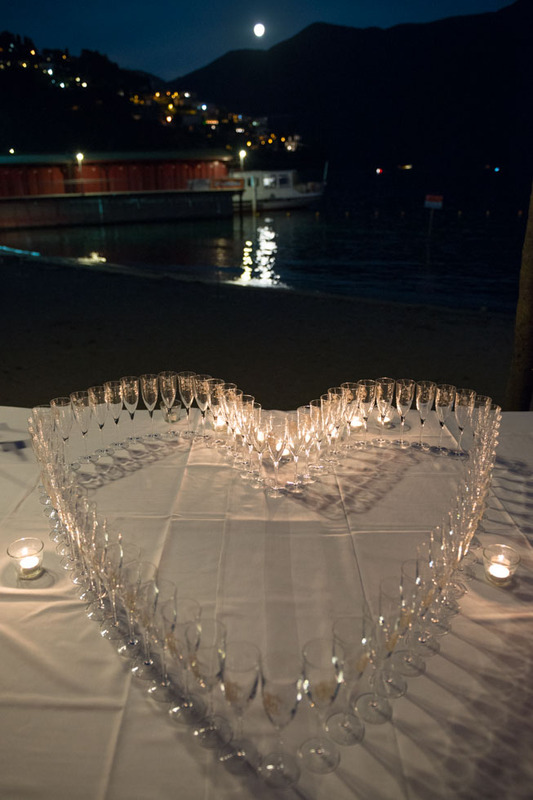 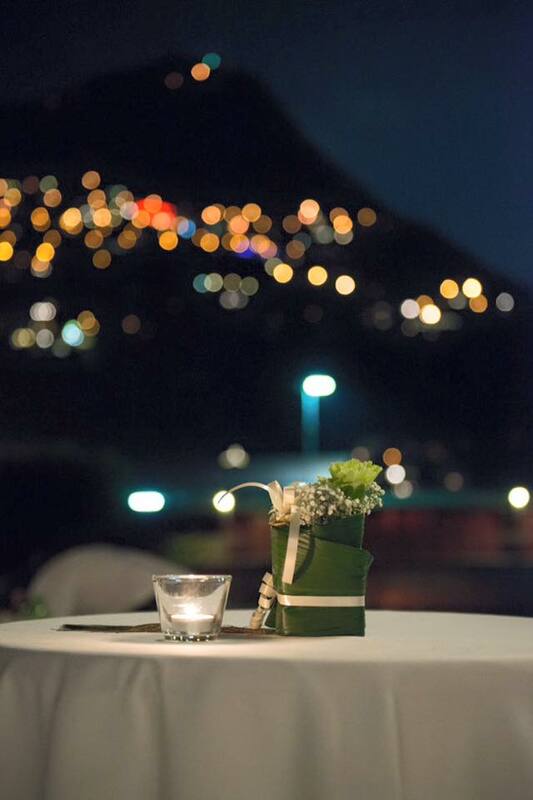 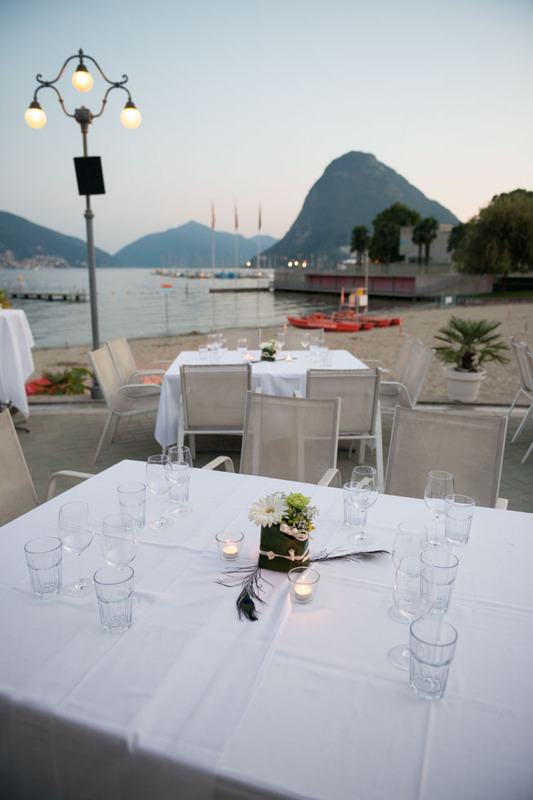 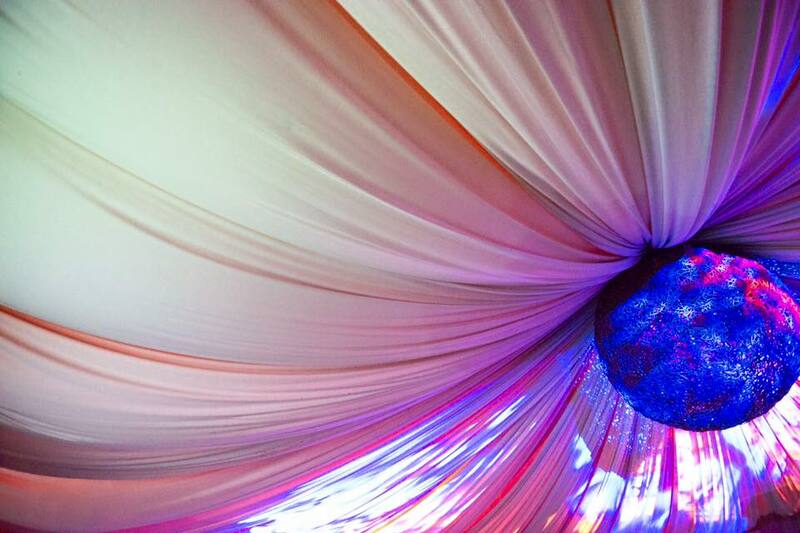 A beach wedding is a dream that can come true in Lugano. 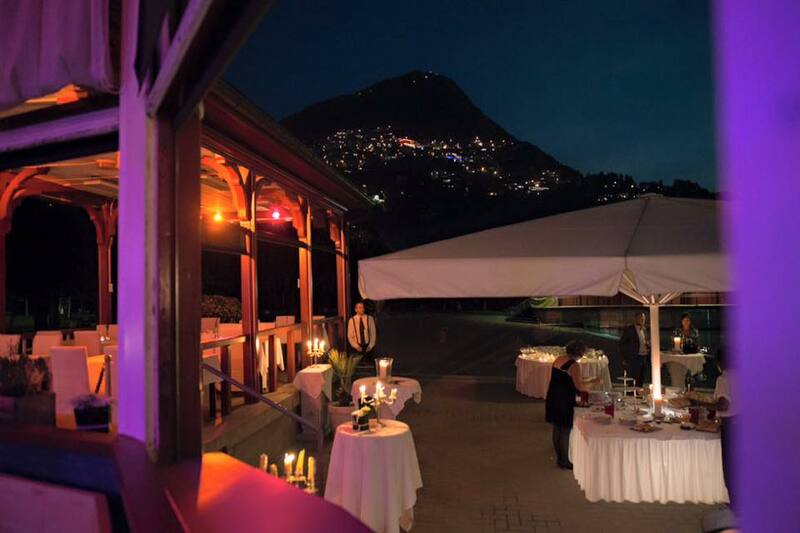 We found this unique location for our bride and groom back in 2015 as they were looking for a stylish yet relaxed location where to enjoy a casual dinner being able to float among guests and celebrate their love. 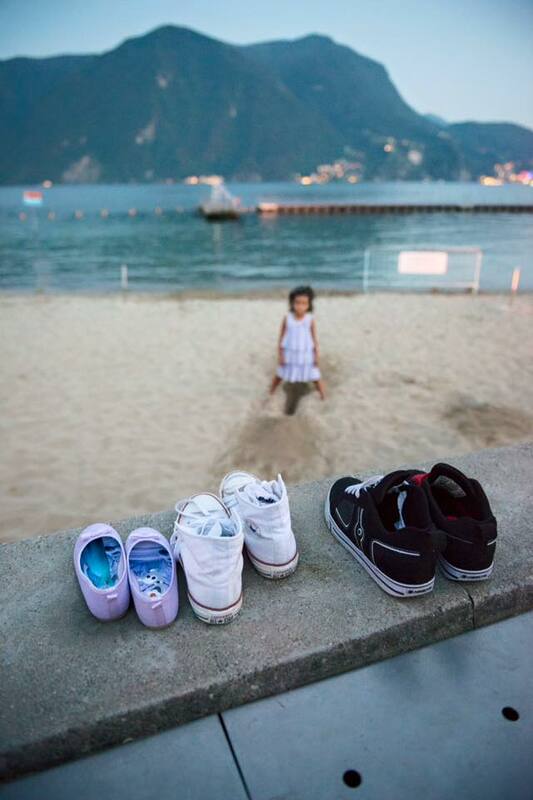 It was one of the hottest day that Summer and the breeze from the lake was much welcomed. 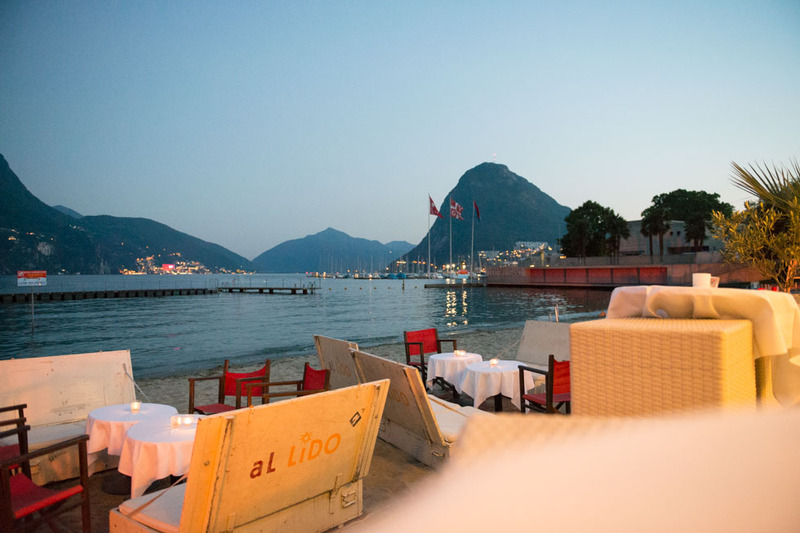 Everything about the Lido in Lugano is enchanting. 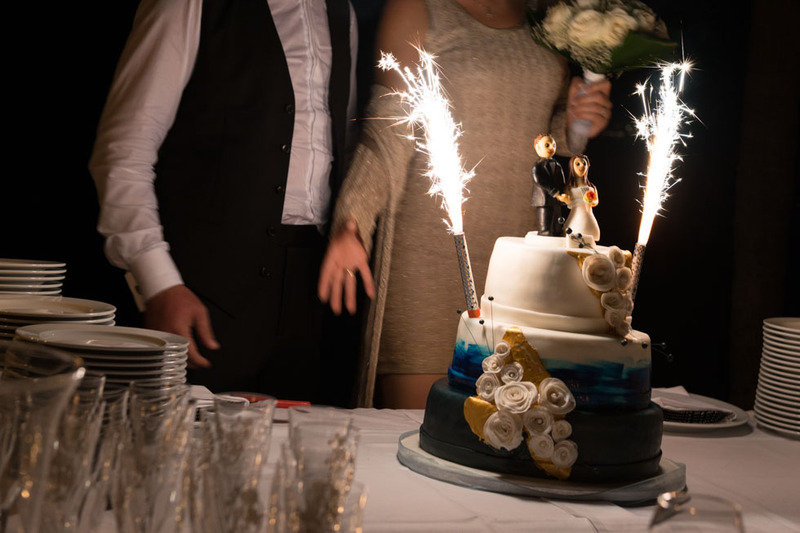 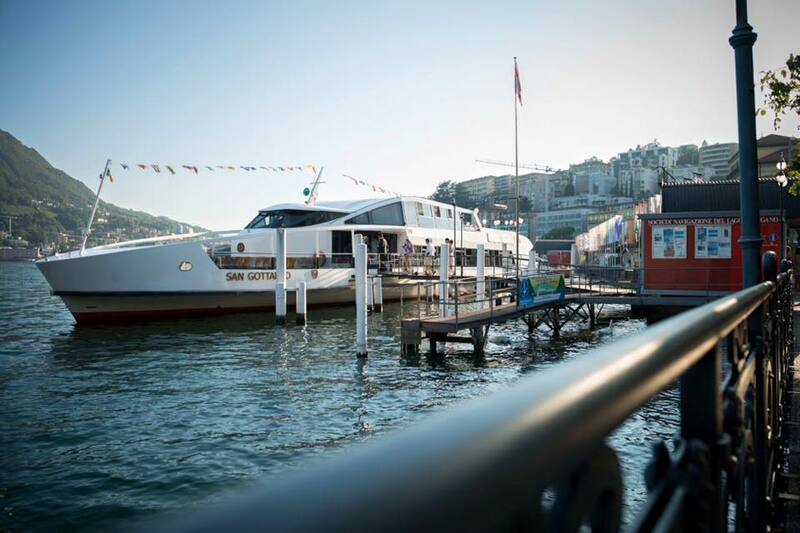 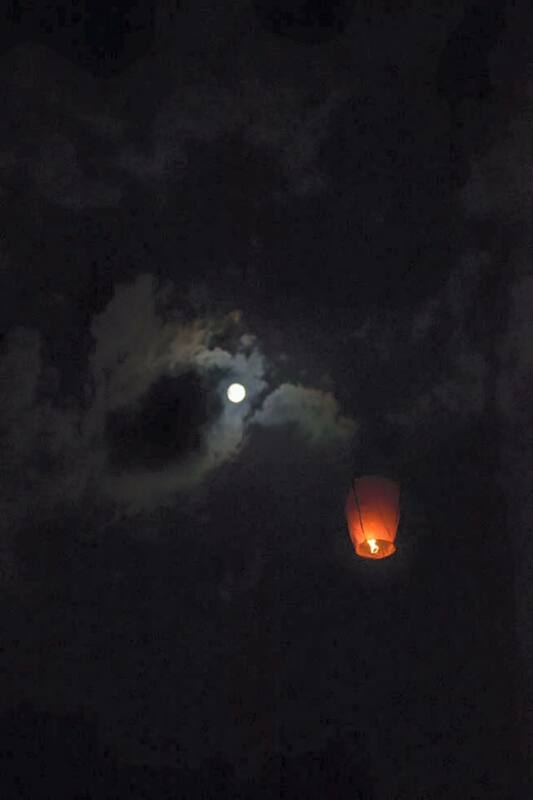 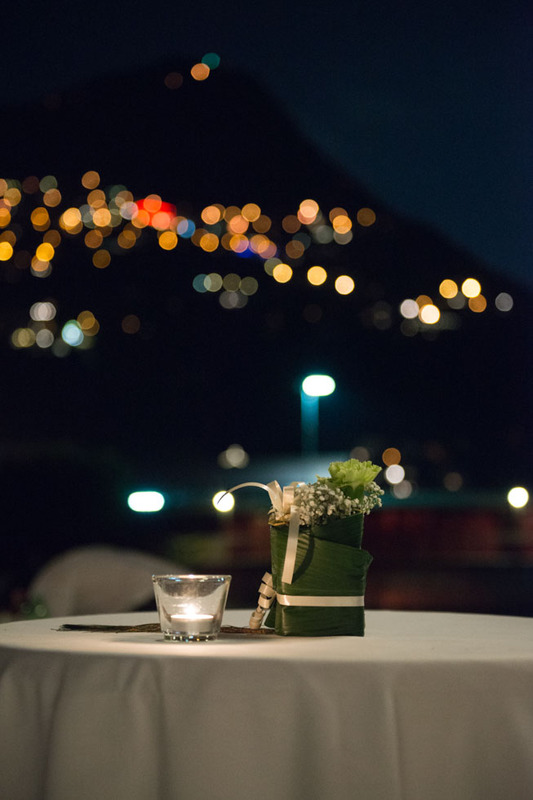 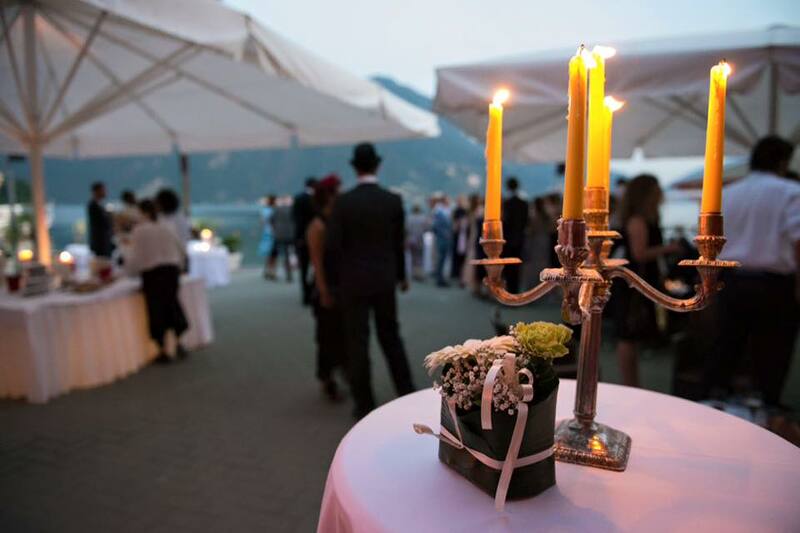 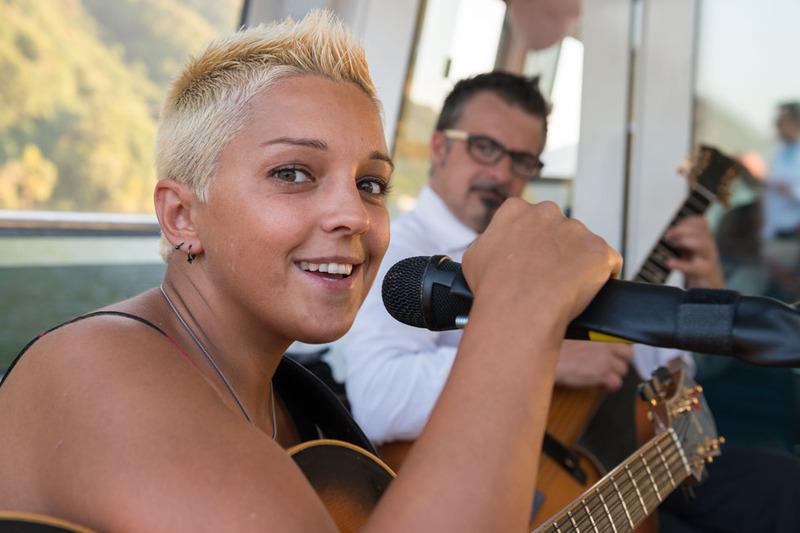 Our spouses wanted to gift their guests with an experience and we help them organizing a moving wedding ceremony followed by a boat ride on the beautiful Lugano Lake followed by a wedding reception feet on the sand.